Two photos posted on Twitter today by British cyclist and ex-rugby player Will Carling show what appear to be unreleased Apple products, including a red version of the Apple Watch sport band and a folding UK wall adapter. 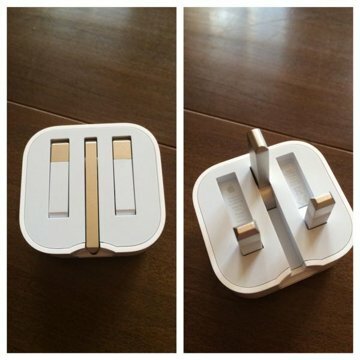 Carling said that the folding charger was gifted to him by lead Apple designer Jony Ive. The provenance of the sport band is unclear, but might also have come from Ive, who is a fellow Brit and a rugby fan, MacRumors noted. Between 1988 and 1996, Carling was the captain of England's national rugby team. The sport band currently comes in five colors: black, white, pink, blue, and green. The black color is alternately available with a space gray pin. 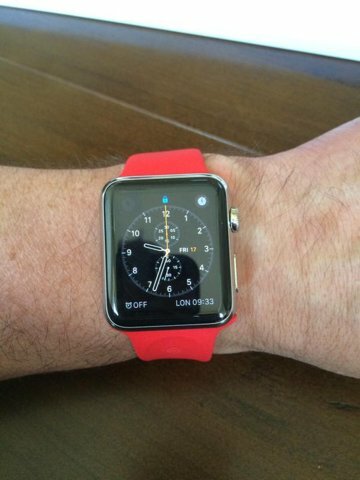 Apple may well be preparing a (PRODUCT)RED sport band. Like other RED products, some of the proceeds would go towards the Global Fund, which combats AIDS, malaria, and tuberculosis. Likewise, the folding charger could be set to become a standard for UK Apple products. Ive and Apple have, however, produced custom products in the past. Just recently, Apple gave an all-gold Watch to fashion designer Karl Lagerfeld and provided director J.J. Abrams with a stainless steel model and a bespoke dark blue sport band. Giving Carling access to exclusive (or pre-release) products could be a personal gesture from Ive, or simply another way for Apple to build publicity.